If you are a Home Owner or a Building Contractor that is in the process of taking the other party to tribunal or court, you will require our services as a Building Expert Witness Report writer. It bring us joy to hear that our Expert Witness Reports exceed our clients expectations. Of course, in the process of conducting the Site Investigation and Report writing, we are bound by Schedule 7 – Expert Witness Code of Conduct. Our Expert Witness Reports are compliant & accepted by the New South Wales Civil & Administrative Tribunal (NCAT) and NSW courts. In the case of a report that is lengthy or complex, a brief summary of the report (to be located at the beginning of the report). Quit simply for every issue identified with the Expert Witness Report, we have broken each issue into nine parts. Do we include a Scott Schedule in our Expert Witness Report? We also can provide when requested a Scott Schedule, a Scott Schedule is a summarised version of your Claim, set out in a table, we have a video of the particulars of the Scott Schedule. You should be given a Notice of Orders, which will instruct you on what is required to be presented. Do we do Quantum Meriut Reports ? Yes we can when required, Quantum Meriut Reports are used when there have been extra works performed outside the original Scope of Works. The Quantum Meriut is very similar to a “Bill of Quantities” , showing the trade breakdown of labour & material for a certain task. Further information about a NCAT Quantum Meruit Report can be found here. How much does a Expert Witness Report cost? Every Expert Report is different as every claim is different in nature. It depends on the number of issues required to report upon, and the complexity of each issue. These rates are indicative only and may vary pending on the circumstances of the issues you wish to claim for, or when responding to a claim. Expert Witness Court or NCAT hearing attendance: $2,310.00 per day or part of. Based on our proceedures, the minimum cost of a small claim, including one hour for the Site Investigation, Expert Witness Report and a Scott Schedule, your looking at $1,760.00. The range of most Expert Witness Reports are between $5,000 to $10,000. For major claims on multi unit / Strata complexes, we have experience with working with & co-ordinating multiple expert industry Consultants, where reporting costs had exceeded $600,000. This claim was a major claim in excess of $10,000,000, not the norm for a strata complex, however shows our capability to deal with larger claims and within the Supreme Court. *All rates are inclusive of GST and are indicative only. * It is our company policy that all payments are made Prior to the Site Investigation and Prior to starting the Expert Witness Report, this enables us to keep our independence & objective opinions as neutral as possible, and not be forced to change our opinion because payment is withheld. * All Site Investigations are to be commenced between 7:00am & 9:00am weekdays only, unless prior arrangements are made. For a obligation FREE quotation, on your NCAT or Court Building Claim, please click on the link below. Where do we travel for our Expert Witness Reports? We all service New South Wales, including all cities & country towns, and we have two office locations, one in Sydney CBD and the other at Bankstown Airport. We have also had a couple of building disputes over the years in Broken Hill, lucky enough for use we have Bankstown Airport at our front door to catch a regional flight. So if your property is anywhere within NSW, we are prepared to travel, to help resolve your Building Dispute, or provide one of our Expert Witness Reports. Why choose us for your Expert Witness Report needs? We have been in the Building & Construction industry for over 25 years and have been an Incorporated Company for over 20 years, so we definitely have the experience working within the Building & Construction Industry. The Company Director (Glen Sim) has a hands on approach and manages must of the reporting requirements himself. Glen comes from a Carpentry/Joinery trade background, with a Diploma in Construction Management, and is fully competent in Project Management, Contracts Administration, Scheduling & Estimating. Glen and Awesim Pty Ltd have been recognised as an Accredited Building Consultant with the Master Builders Association NSW. Glen also holds a NSW Builders licence. Awesim Pty Ltd is covered with Professional Indemnity Insurance for Expert Witness Reporting. Our Expert Witness Reports and Scott Schedules are recognised by NCAT and the court system, as all our Expert Witness Reports are bound by the Code of Conduct for Expert Witnesses. We have experience in following through after the report has been filed, with conferring with the other parties Expert Witness, and in Court or the NCAT Hearing room providing evidence in the Witness box. We have access to all the Building Australian Standards, Building Code of Australia, National Construction Codes, The Home Building Act of NSW, Guide to Standards & Tolerances as well as technical product manuals. Have Professional Indemnity Insurance, Stating they are covered for Expert Witness Report, most Consultants have PI Insurance for Building or Pest Prepurchase Inspections, this is not the same, they must be covered for Expert Witness work. Other areas of the Building Consultancy business you may consider checking would be the Companies Australian Business Number (our ABN is 95 074 479 762), and Australian Securities & Investments Commission (our ACN is 074 479 762). Then it’s about the presence of the Building Consultant and or their Company, can they be found on Google, Facebook, LinkedIn, Youtube etc. What testing & diagnostic testing tools does the Building Consultant own? We have a video coming soon. Does the Building Consultancy have there own website or gmail.com or hotmail.com email addressees, this shows that the company is not prepared to invest into there business, so why would you. These are the things that you really need to check out before engaging a professional Building Consultant to conduct an Expert Witness Report, because this is part of the reason why you are in this situation in the first place. (not doing your proper due-diligence on the Builder or Home Owner prior to engaging into a Building Contract.) Its no good throwing good money after bad money, if your Expert Witness Report or the credentials of your Building Expert do not stand up in Court. As we have seen time after time, Lawyers & Barristers are out there to discredit the Building Expert before the Expert Report is even looked at. In this scenario, we have been tested by some of the best Lawyers & Barristers, and even Judges, and passed with flying colours, this is because we have the experience, & qualifications and are very open about who we are and what we do. Read our Google Reviews on the Right Hand Column of this page, these are from some of our previous satisfied clients which we conducted an Expert Witness Report. 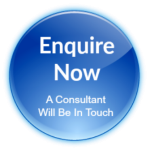 You will find a few Building Consultants that may charge professional fees lower than ours, however you will pay for what you get. And I can put your mind at rest the we will provide you with the very best service and exceed your expectation when it comes to the complete and thoroughness of our Expert Witness Reports. From our experience, the party that provides that best prepared evidence to the Judge or NCAT Member, has the best chance of success with there claim. We are also experienced in assisting either party in preparation of the Bundle of Documents, of which our Expert Witness Report and NCAT Scott Schedule form only part of this. You will require with your “Bundle of Documents” to be Tabulated and Pagulated, have a Index Page at the very front of the fold. The folder is to hard bound (ring folder) and in triplicate, one for the Court/NCAT, one for the other party, and of course one for yourself. Within different tabbed sections, you will be required to provide evidence of the Building Contract, Building Plans, Your Affidavit, Statement of Claim, Chronology of Events, just to name a few. The purpose of this “Bundle of Documents”, is to provide to the Judge or NCAT Member a understanding of what the dispute is all about and try to paint a picture for them to understand the issues.